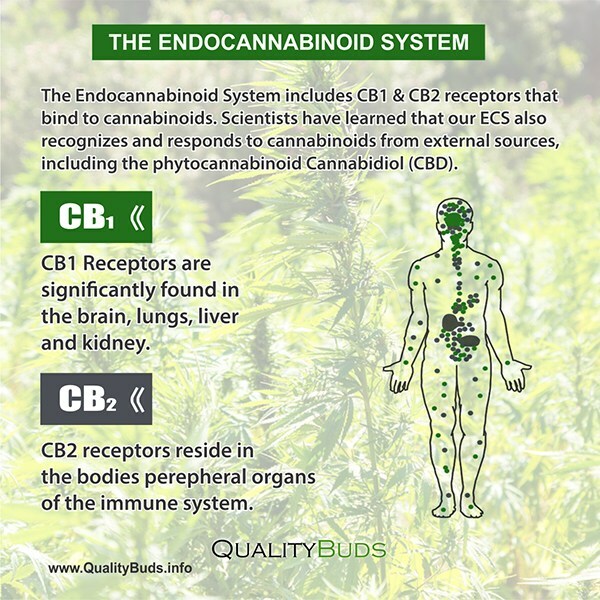 Cannabinoid receptors are found throughout our body and the primary function of the Endocannabinoid System (ECS) is maintaining homeostasis which is to ensure that the body is stable internally despite changes in the external environment. The failure of the balance of Endocannabinoid System is what often leads to disease in the body system. The Endocannabinoid System controls many processes in the body such as sleep and appetite. It affects the immune system, nervous system acting as a bridge between the body and mind. Cannabinoids receptors are found in cell membranes all over the body and believed to be the most populous receptor system in the body. When these receptors are stimulated, it sets in motion different physiologic processes. Phytocannabinoids are found to stimulate Cannabinoid receptors. Phytocannabinoids are found in plants, and they include THC (delta-9-tetrahydrocannabinol), CBD (cannabidiol) and CBN (cannabinol). Of these three, THC is the most psychoactive. Cannabinoids receptors are found in many parts of the body, and they act as binding sites for both endogenous Cannabinoids and Cannabinoids present in cannabis. These receptors are located in the brain, cardiovascular system, gastrointestinal and virtually all parts of the body. There are two types of receptors namely; CB1 and CB2. These two receptors are prominent in the brain and immune system than in other parts of the body. When these receptors bind with the Cannabinoids, the body experiences vivid changes. The body naturally produces Endocannabinoids to stimulate these receptors. Due to the harsh environment, our surrounding world has turned into; we need a functional Cannabinoids system to maintain good health. To achieve this, there is a need for the body to produce more Endocannabinoids and receptors by taking small doses of Cannabinoids from cannabis. Herbal cannabis contains a variety of cannabinoids, and they all work together for better health. Cannabis can be smoked as it is safe except for those that affected by it due to respiratory irritation, it is advisable that such use vaporizer, topical salve or cannabis tincture. Medical cannabis is beneficial in the treatment of a variety of disease as research is ongoing to ascertain this in the area of preventive healthcare.